Eagle Automotive is a full-service preventive maintenance and auto repair center. Eagle Automotive has been performing high quality, guaranteed auto, SUV, and truck repairs in the Plover area since 1987. We specialize in engine & transmission diagnostics and electrical troubleshooting. We service and repair all foreign and domestic vehicles. Bring in your foreign and domestic auto, SUV, or pickup today with complete confidence that your vehicle will be serviced or repaired correctly the first time. Worried about the factory warranty on your new car? Don't be! We have the staff, skills, training, and equipment necessary to perform all required maintenance on your new vehicle while maintaining your warranty. We are the preferred alternative to the dealership for all scheduled maintenance of your personal car or truck, as well as your fleet vehicle. 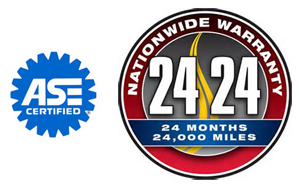 Our warranties are honored from Coast to Coast!!! Can the "other guys"" say that? Staying AHEAD of the industry is our goal - We spend over 40 hours per month in training to stay current with your vehicle needs. Learn more about our commitment to quality by reading about the tools that we use to repair your vehicle. Restores dull and discolored plastic headlight lenses so they look and perform like new. Improves vehicle appearance and increases resale value. Removes oxidized yellow/brown surface layer, imbedded road dirt, grime and contaminants without damaging plastic surfaces. Seals and protects lens surfaces from future deterioration. Contents suitable for one vehicle (four headlights). Restoration warranted for 5 years.